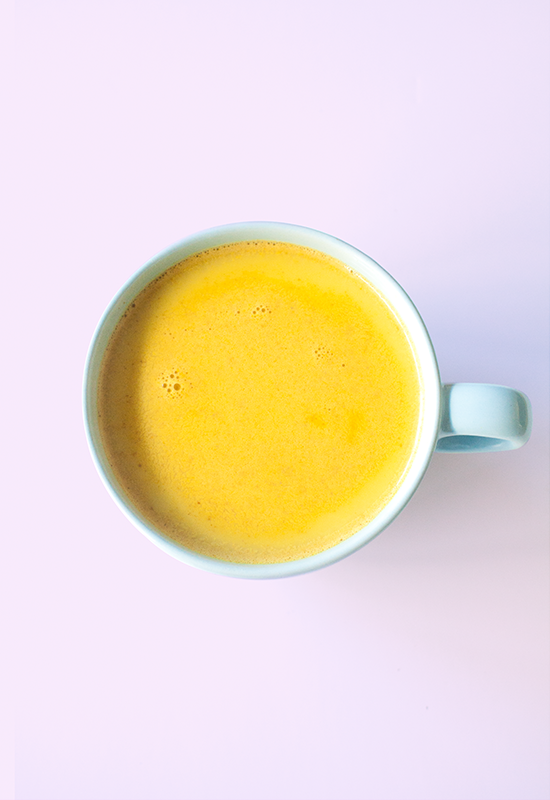 Golden milk turmeric latte is a wonderful, nourishing Ayurvedic drink. Ayurveda is one of the world’s oldest traditional mind-body medicine systems that originated in India thousands of years ago. It literally means science of life and focuses on the strong connection between mind and body. Balance and wellbeing are closely connected to consciousness. Nutrition plays an important role in our quality of life and therefore has an essential place in Ayurveda. 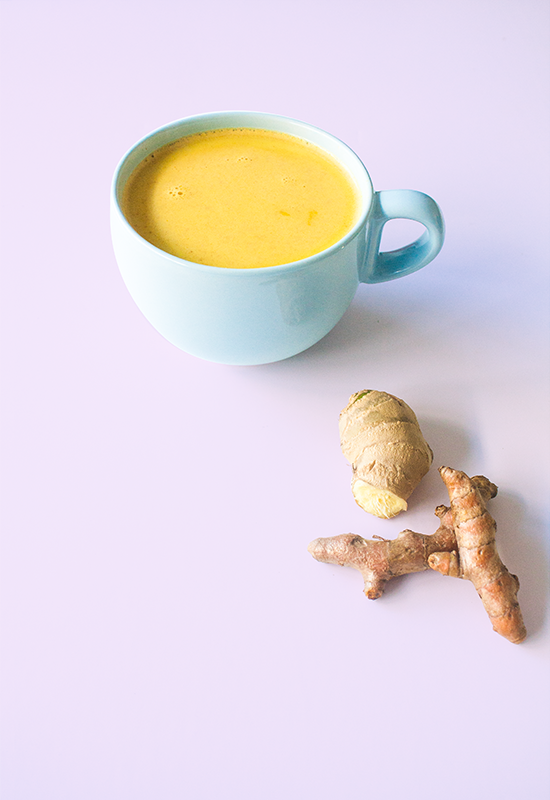 The warm and grounding golden milk turmeric latte has healing properties for the body and helps calm our mind. 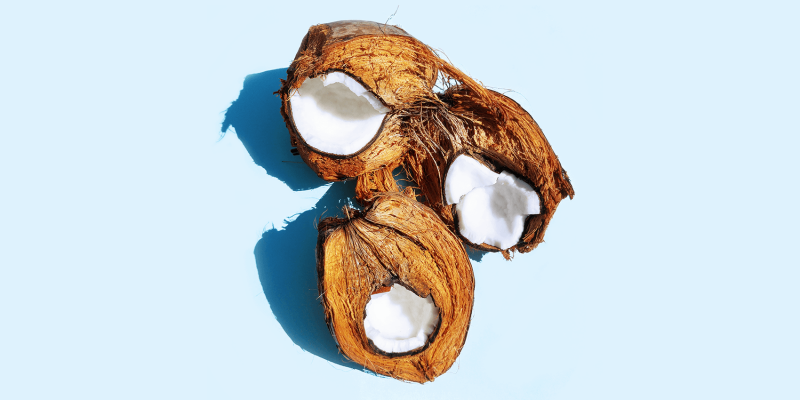 It is full with antioxidants, healthy fats and other important nutrients. Golden milk is good for digestion, boosts your immune system, purifies blood and has strong anti-inflammatory properties. It also stimulates cell health and helps promote a healthy sleep. The main ingredient is Turmeric, which is known as the spice of life, because of its powerful medicinal properties. The curcumin in Turmeric has anti-cancer properties and provides many other important health benefits. Besides being healthy, it is also a very tasty, warming drink which is especially soothing during cold fall or winter seasons. The different heating spices go so well with the creaminess of coconut milk. Mix everything besides the maple syrup in a small saucepan and cook for 10 minutes on low fire. Turn off the fire and add the maple syrup. 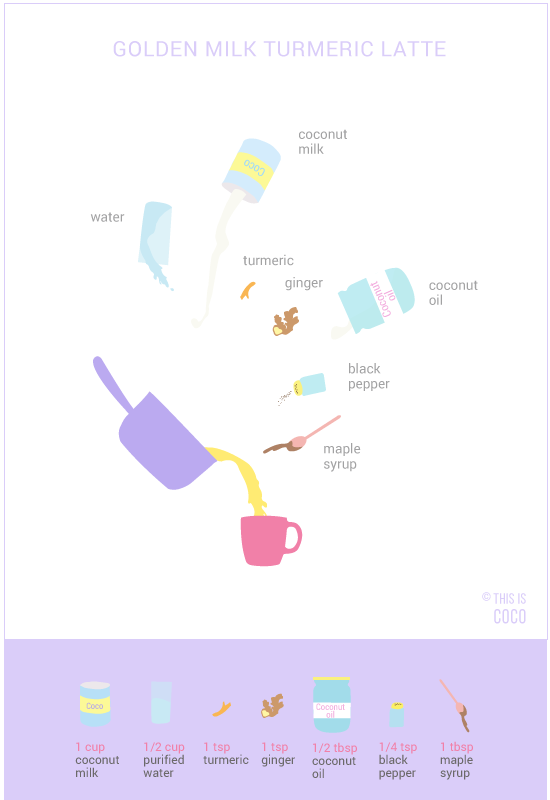 Serve it warm and make sure to stir well before you drink it, especially if you’re using ground turmeric. PS: turmeric stains, so be careful with your clothes, kitchen textiles, wooden utensils etc. It has a strong bright yellow color, which is why I love using it as food coloring in different recipes, such as these pastel bounty balls.